Milk and cookies ... chips and salsa ... oil and vinegar! 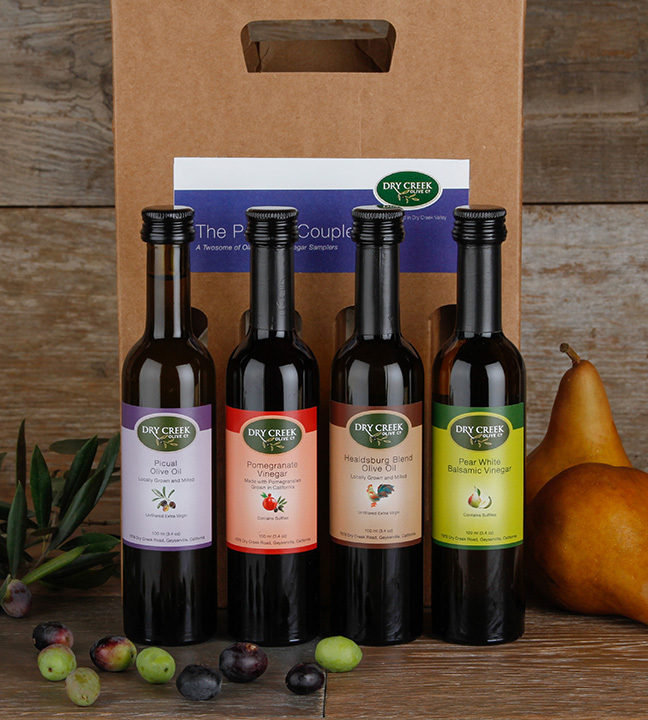 There are lots of ways to pair things, but in this case, oil and vinegar are THE perfect couple! 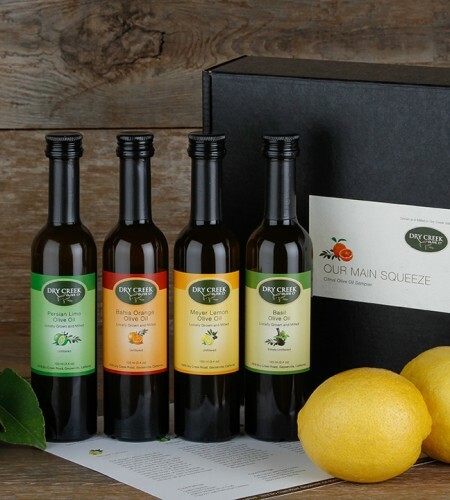 This new Olive Oil and Vinegar sampler puts two of our favorite oils and vinegars together in one great set! 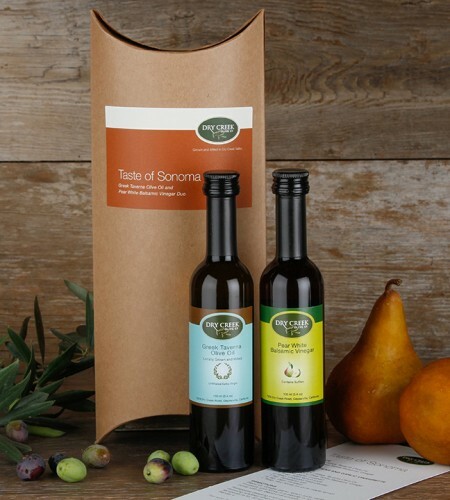 Packaged in a handled box, this two oil / two vinegar sampler set makes a perfect gift! 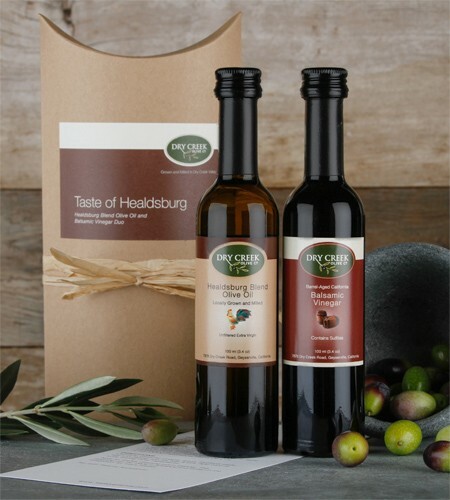 Our mildly spicy, customer favorite Healdsburg Blend and "Double Gold" bold Spanish varietal Picual olive oil are paired with our rich, versatile Pear White Balsamic Vinegar and our tart, slightly tangy Pomegranate Vinegar. 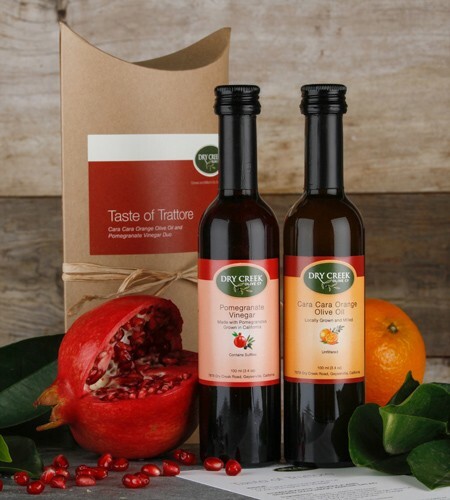 Used separately or paired together, these oils and vinegars are a perfect pairing - The Perfect Couple. 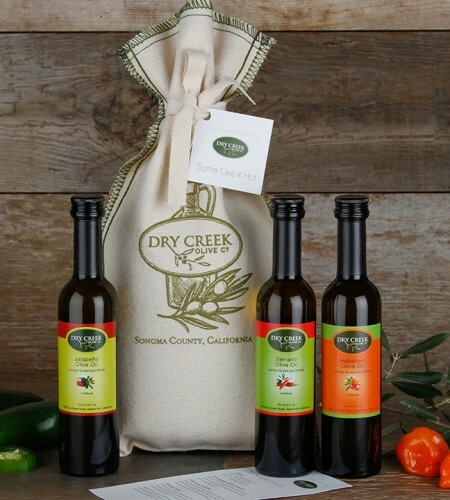 The gift set includes a pairing and recipe card to get you started, but you'll want to "pair up" daily! 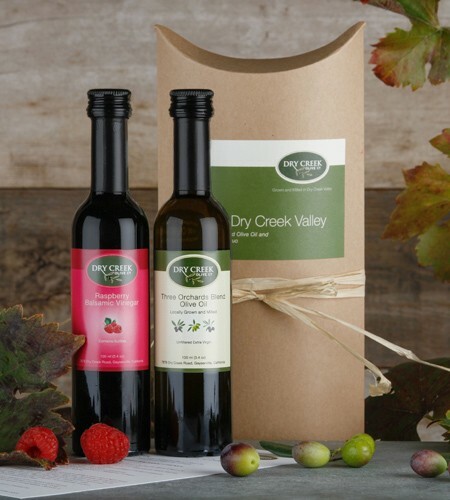 Includes four 100ml bottles - Picual Extra Virgin Olive Oil, Pomegranate Vinegar, Healdsburg Blend Extra Virgin Olive Oil and Pear White Balsamic Vinegar packaged with a recipe card in a handled gift box.